National GIS Inventory | Jill Saligoe-Simmel, Ph.D.
January 9, 2015 /in Geospatial, Open Data, Portfolio /by Jill Saligoe-Simmel, Ph.D. The GIS Inventory is a system maintained by the National States Geographic Information Council (NSGIC) as a tool for the entire GIS Community. It allows users to quickly search for GIS data to meet their business requirements. It also helps government agencies to effectively coordinate and build Spatial Data Infrastructures. 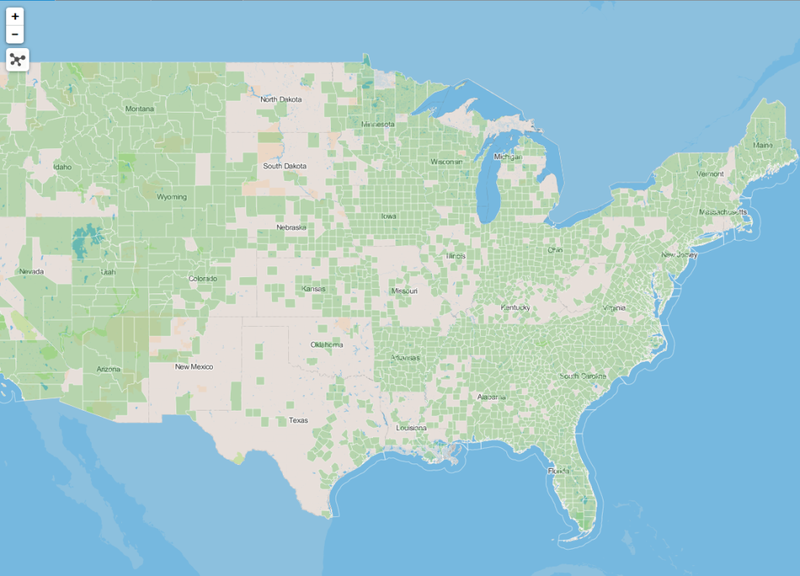 Its primary purpose is to track data availability and the status of geographic information system (GIS) implementation in state and local governments to aid the planning and building of statewide spatial data infrastructures (SSDI). The system moves its FGDC-compliant metadata (CSDGM Standard) for each data layer to a web folder and a Catalog Service for the Web (CSW) that can be harvested by Federal programs and others. This provides far greater opportunities for discovery of your information. The GIS Inventory (a.k.a. “Ramona”) was originally created in 2006 by NSGIC under award NA04NOS4730011 from the Coastal Services Center, National Oceanic and Atmospheric Administration, U.S. Department of Commerce. The Department of Homeland Security has been the principal funding source since 2008 and they have supported the development of subsequent versions. Currently, funding is being provided through DHS contract HSHQDC-12-00104. The Federal Emergency Management Agency and National Oceanic and Atmospheric Administration have provided additional resources to maintain and improve the GIS Inventory. The GIS Inventory is maintained by individual users that document their own organizational information and data holdings. The National Cadastral Inventory is maintained by key cadastral contacts in each state to support their unique business requirements. The long-term goal is to merge both systems to provide even better services and features for their users. As a former Board Member of the National States Geographic Information Council, Jill Saligoe-Simmel helped conceptualize this nationwide project and secure initial grant funding. Project design, requirements assessment and management at various stages by BurGIS LLC, Saligoe-Simmel LLC, A.J. Wortley and Fairview Industries. Jill continues to provide technical assistance to the project. GIS Inventory website, system, and database design by RunSkip, LLC.